The last few days have been a real challenge for eating due to the activities we have been taking part in. 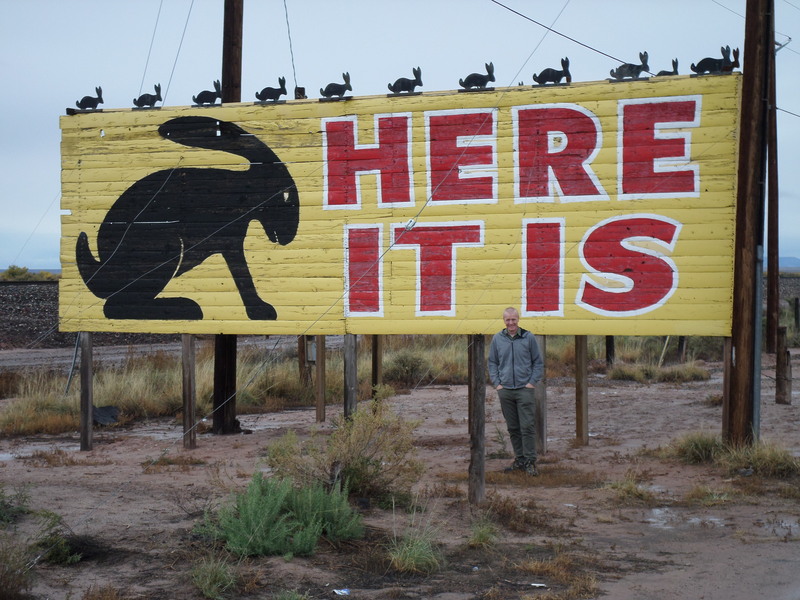 We did two different trips to the Grand Canyon making it seem a bit little silly for me to provide an update without giving the full picture. 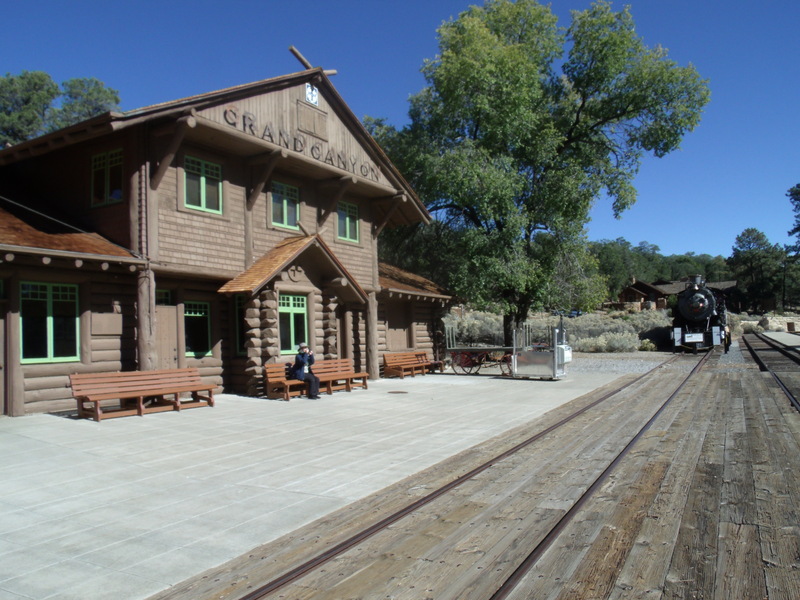 Our first morning in Williams was early as we were due to board the Grand Canyon Railroad, a sixty odd mile journey through the local countryside where it was claimed we would enjoy views of the wildlife and forests of Arizona. It was an entertaining enough journey, but that had everything to do with a girl called Amber Rose, two musicians and a band of cowboys – and nothing to do with the countryside. Amber Rose was a local girl who’s job involves preventing us from realising that the long train journey to the Canyon is grim beyond belief. If she hadn’t kept us amused with jokes and other entertainments at suitable times we would have been wondering why we didn’t take the car. As it is I think perhaps the car might well have been a better option. Still we got ‘robbed’ of our tips on the way back and met some very nice people on the train. 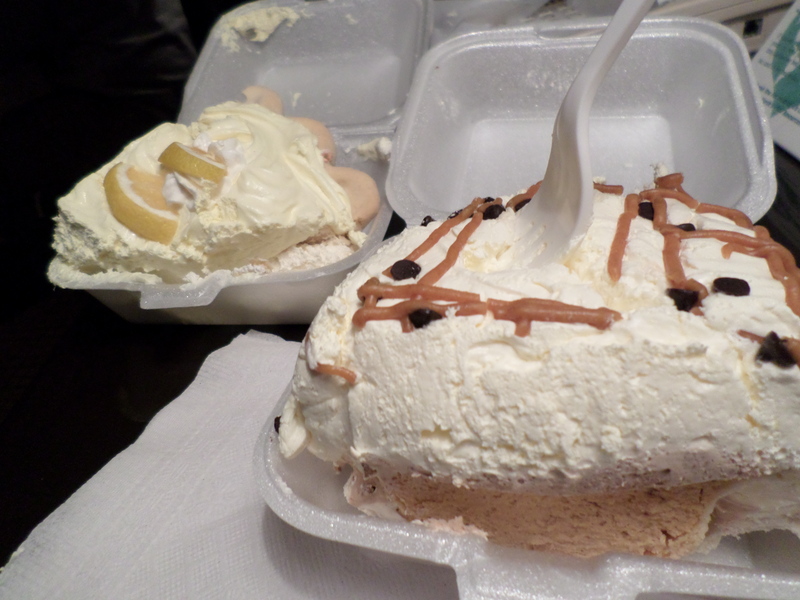 Lunch was crisps and an ice cream! 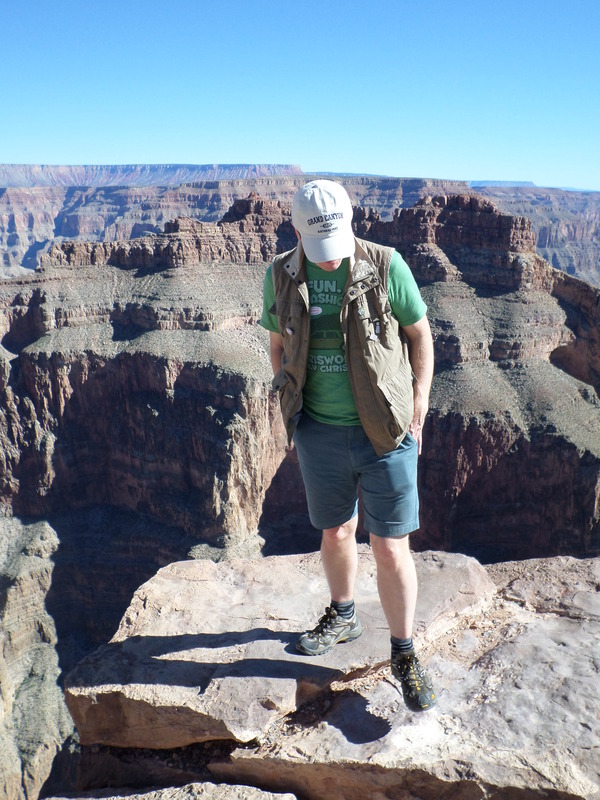 There was no time for lunch – the South Rim of the Grand Canyon is completely breathtaking. 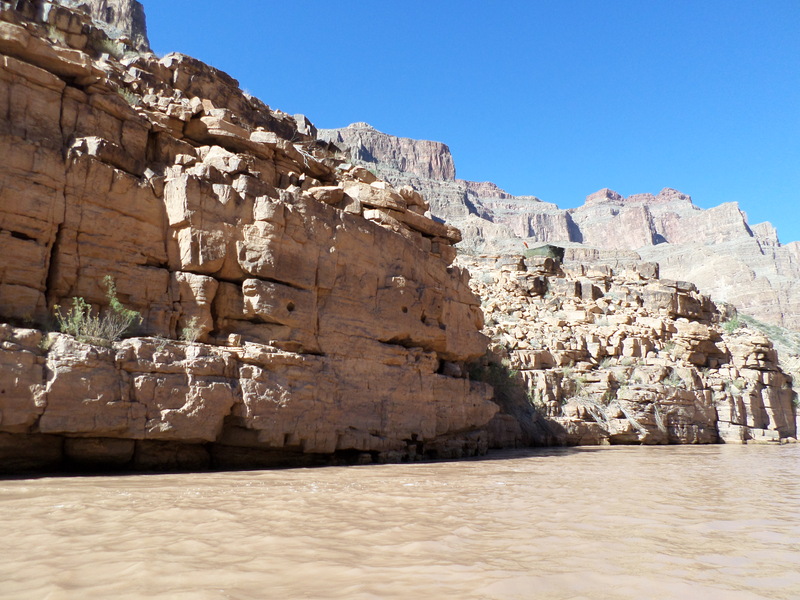 I am not going to bore you with too many pictures, everyone knows what the Grand Canyon looks like. But these ones I loved. I also did a panorama to try and give some sense of the scale. You will probably have to come over to really understand. Dinner was more dire than I care to describe. The hotel provided all meals but their chef had walked out so they were getting the janitor to rustle up whatever he had found left in the fridge. This evening he found some rice which he stir-fried with an instant chicken soup packet (I think). It was served with some god awful Chinese won ton type things from the supermarket that should only take a few seconds to cook but had clearly been left in the hotplate since lunchtime. 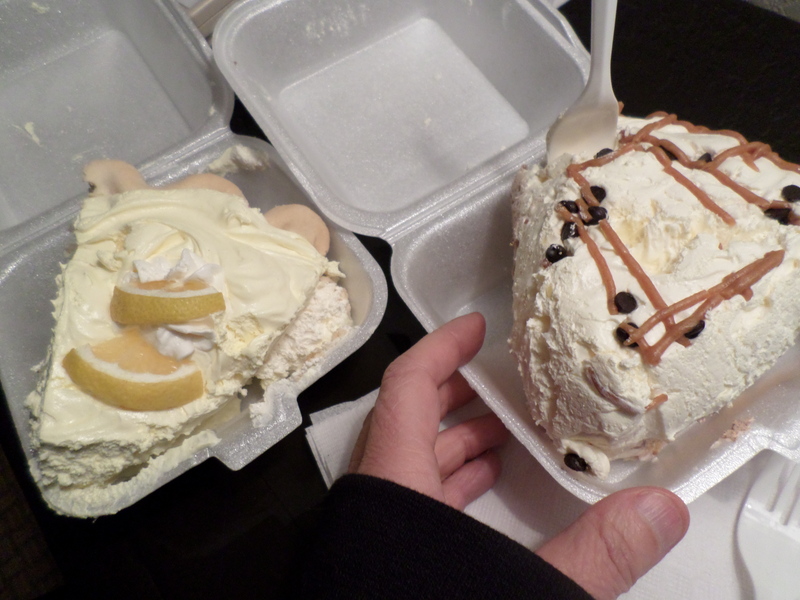 We ate the lot – we were that hungry. Next morning we started with a plate of oatmeal (underdone porridge) and coffee. Then it was off for ‘gas’ to start the journey to Vegas. We intended driving straight through for lunch on the Strip but decided to pay a visit to Hoover Dam on the way as the need to let off water became unbearable. 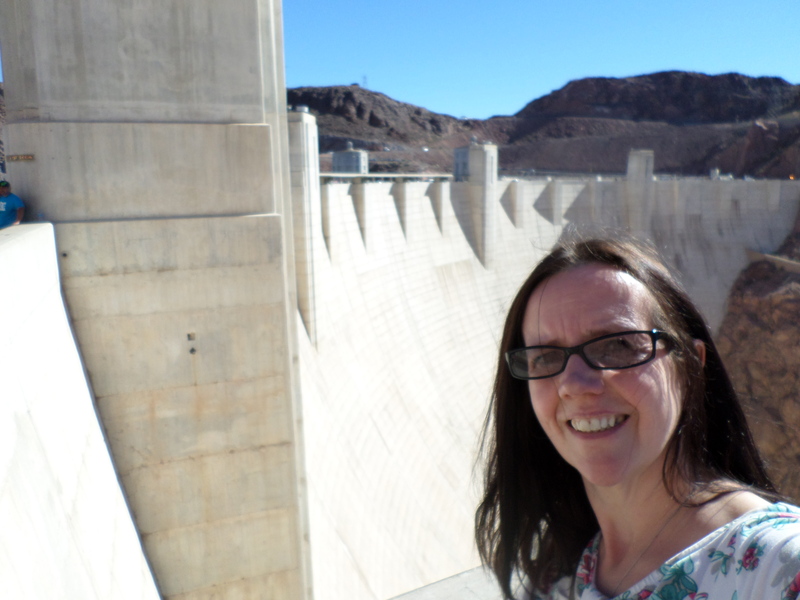 As it would eventually transpire, this was a good decision and we got to see the dam close up – drove over it even! It is impressive but I reckon Laggan Dam is just as impressive to be honest. The fact that it has featured in so many films made it more interesting than the size of it. Here is our last few hundred yards as we come up to our hotel in Vegas, the Luxor which is shaped like a Pyramid. 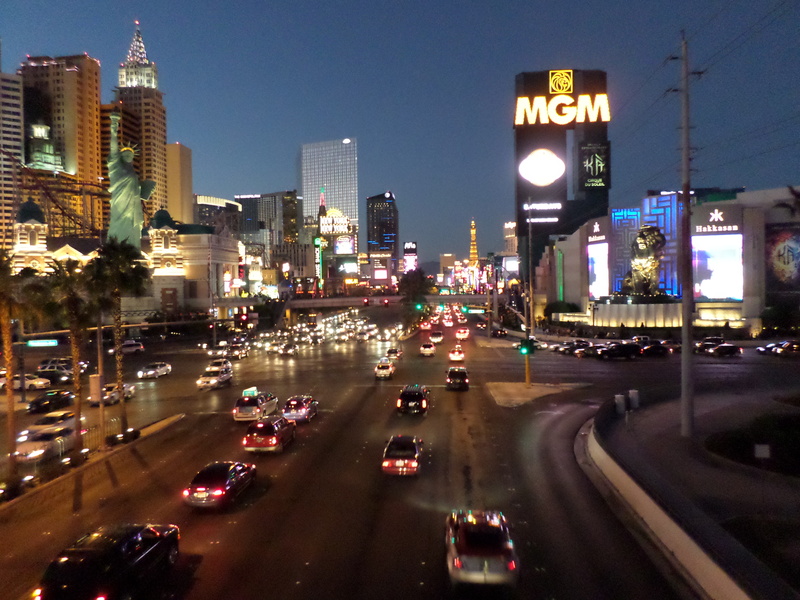 Some good views of other casinos on the strip as we turn left. Lunch on the Strip was Shake Shack (it was easy). Two burgers, fries and drinks for $16 and it tasted great. No complaints. Someone told me ‘Vegas is Vegas’ before I came here. You can’t really say much more about it. Judge it or don’t judge it – you won’t change anything about it. We both agreed that we would have been in heaven thirty years ago. It was Halloween and there were thousands of revellers all dressed up to party in the City. it was hard work for an old fogey like me. It is what it is, I can only agree with the assessment. 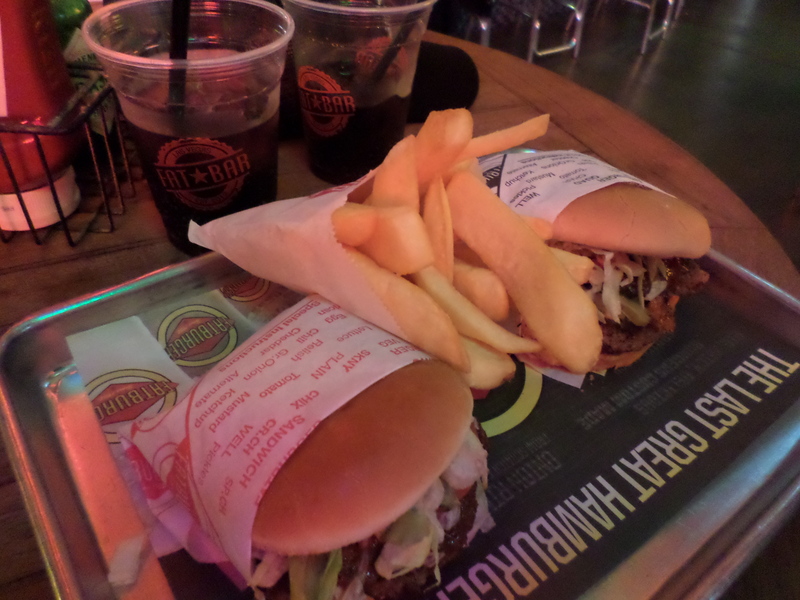 Due to our hunger we felt entitled to go large on the burger eating and tried a place called Fat Burger (http://www.fatburger.com/). It’s a burger of epic proportions although not particularly cheap (in Las Vegas anyway). At $35 for two burgers, one fries and two drinks it was twice the cost of Shake Shack and probably not as much as twice as good. It was great though. Big, soft burger, great flavours and giant chips. Not as good as Caleco as found in St Louis. We walked the strip feeling older and older by the moment and got to bed before the clock struck midnight (I think it was about half nine). 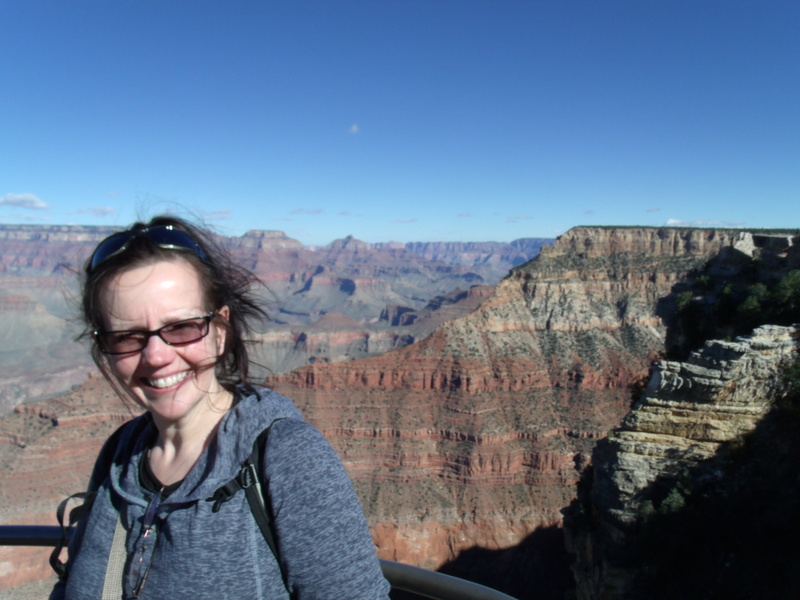 We had a very early start for part two of our Grand Canyon adventure. ‘Woooo Woooo Woooo ….. this is an early warning alarm. 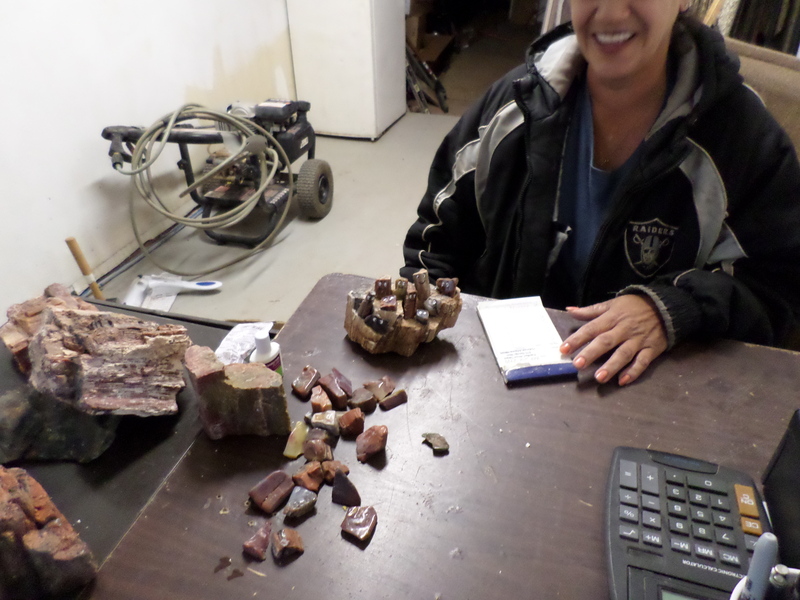 The cause is being investigated and we will update you as soon as possible. Wooooo Woooo Woooo’ …. repeat ad infinitum. Out of bed we got to the echoing sound of the Luxor’s alarm. Some drunken idiot? Still don’t know but they will know how disgusted I was tomorrow morning at check out. For half an hour it went on and then the pre-recorded reassurance message kicked in. ‘The incident has been resolved. We apologise for the inconvenience’. And yet on and on it went, stopped for a bit and then went on and on until we got up for our trip. Quite why we decided to overpay for breakfast at the Starbucks in the hotel given the inconvenience we had suffered I don’t know. Oh yes I do….there isn’t a cheaper alternative! Anyway…. the helicopter tour from Papillon Tours (http://www.papillon.com/) is partly amazing and partly … well more amusing than anything. 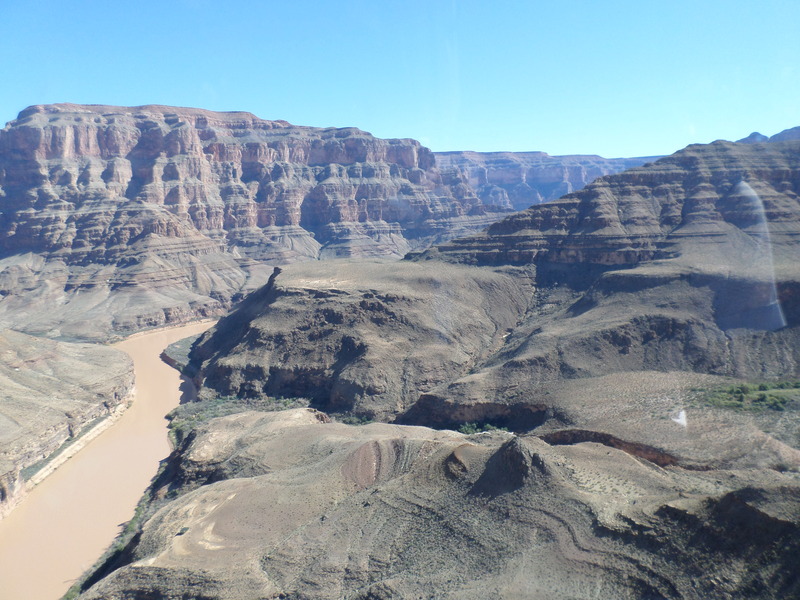 Our tour was the full bhuna – over the Canyon, land on the bottom, boat ride on the Colorado, up to the Skywalk, ride back home. Wow! 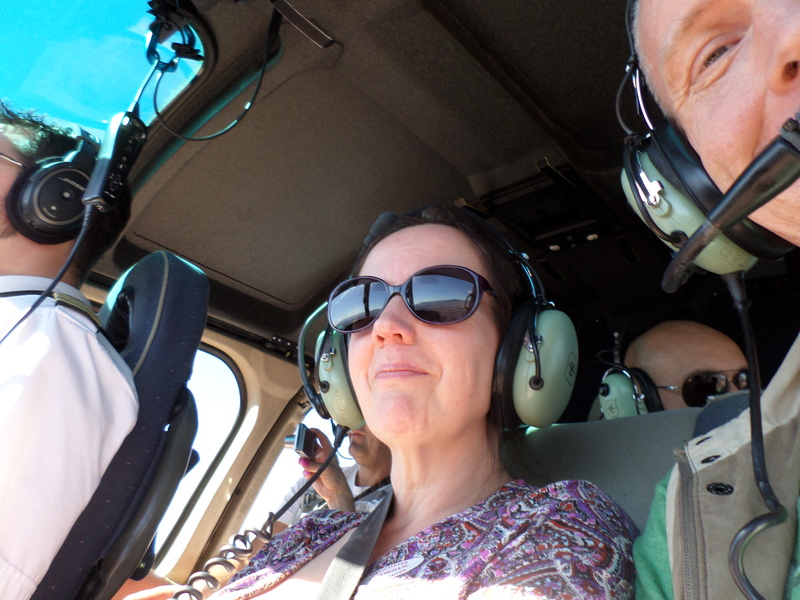 Amazing bits – seeing my wife’s face when she was told she is riding up front beside the pilot. If she chews that lip any harder she will draw blood. Flying over the Canyon and landing on the bottom was fantastic. Also amazing was when we took off the second time and, again, guess who had to ride up front. 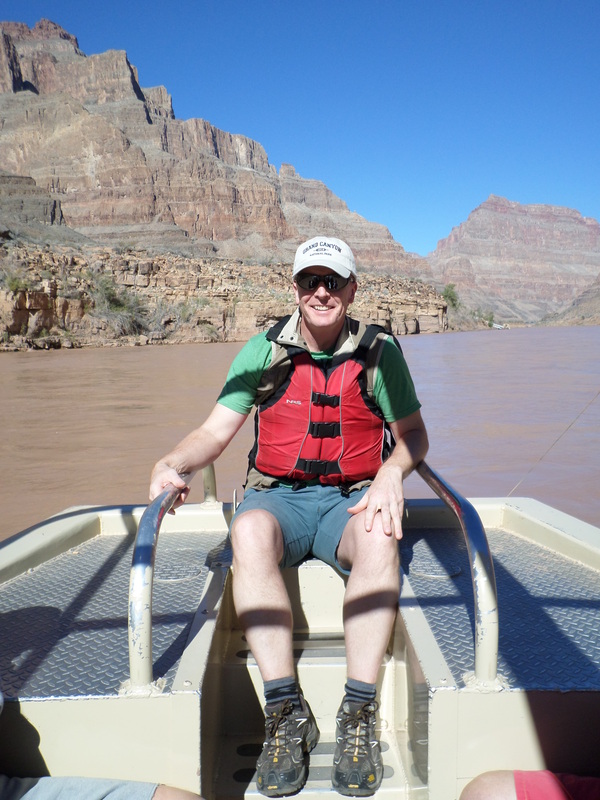 Amusing was the ride on the Colorado River. Five minutes fast upriver then meander back to the start with photo opportunity at front of boat. Also amusing was the Skywalk. This is a glass floored platform sticking out of the rock. You walk round and get all scared that you might fall… yawn. Not if you have been up the Sears Tower in Chicago you don’t. You can step close to the edge of certain death if you really need an adrenaline rush. 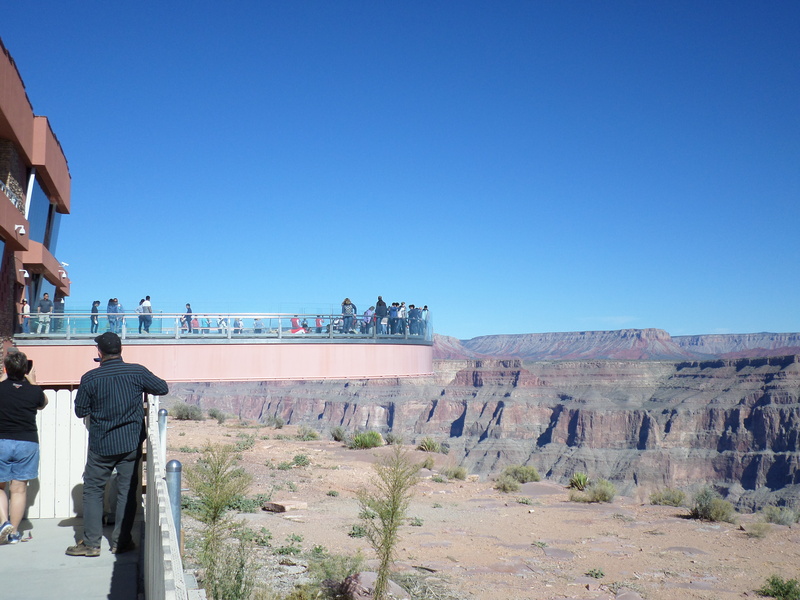 No health and safety at Grand Canyon. Amazing is that the cost of the photo they took of us on the Skywalk was included in the price of our ticket. That’s never happened anywhere before ever. 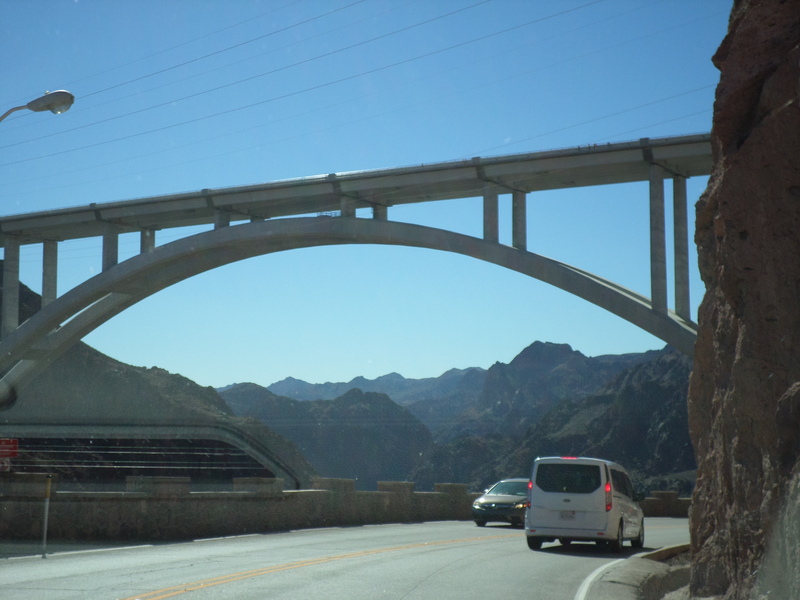 Amusing was the Hoover Dam flyover which never happened because someone in a micro-light was in the way! Lucky we went the day before then. So my advice for future travellers. 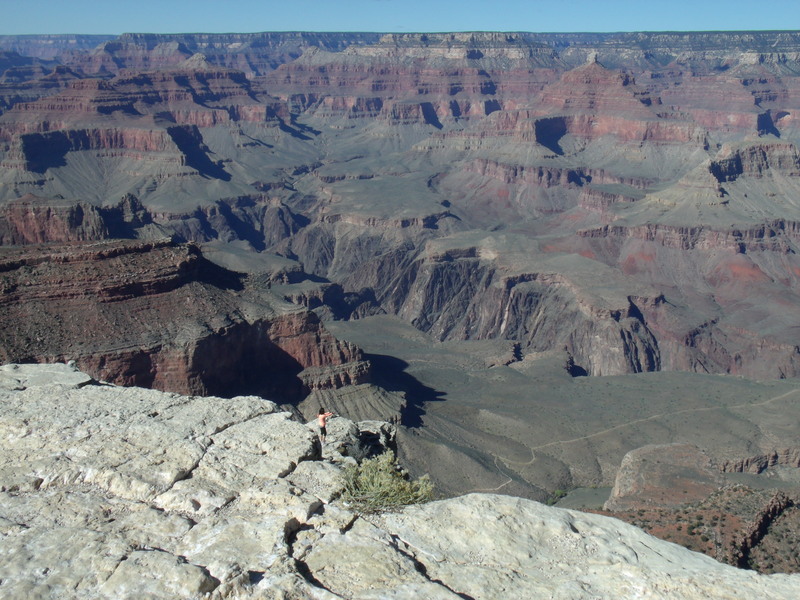 Go the South Rim by car and check out the amazing views from there. If you must do a helicopter tour, do that but don’t be sucked into river rides or walking on thick glass as added extras. You go in and they make your pizza in front of you. They pop it in the over and give you a claim ticket. A few minutes later it is all yours. $35 was not too bad with two drinks. 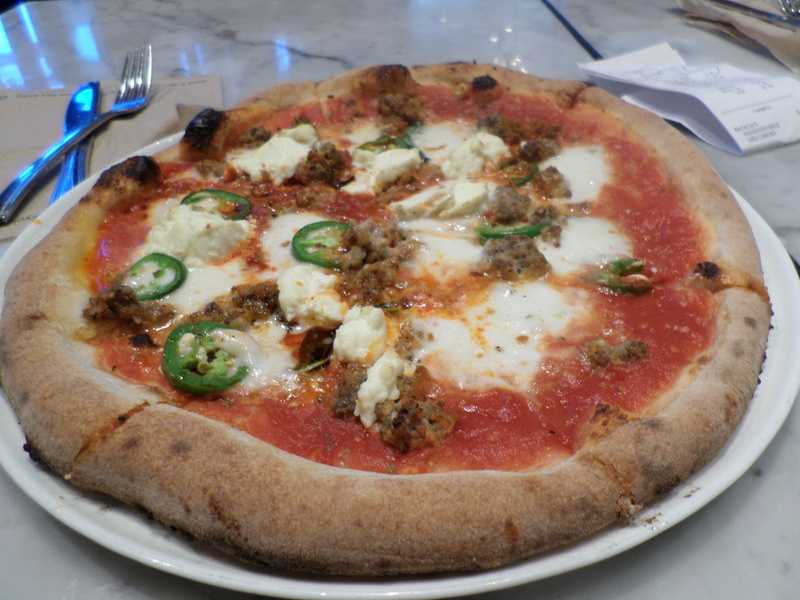 It was brilliant pizza and great to watch them flip the dough. That was our final proper meal in Vegas. Lunch was provided ‘amusingly’ by Papillon tours who believe humans can survive on a stick of beef jerky and a bag of nuts for that meal. 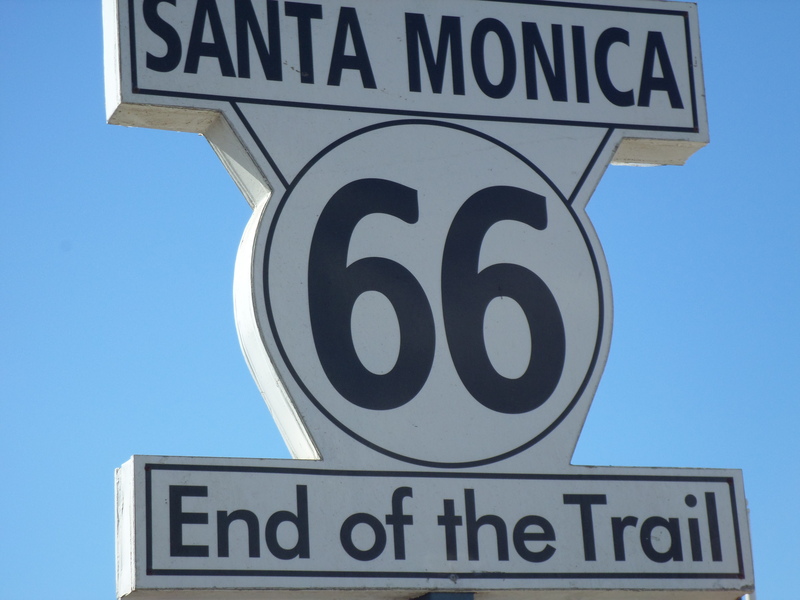 Tomorrow we hit the road for our final leg – Los Angeles and the end of Route 66 at Santa Monica. We really must try better with our meals. We’ll soon be back home and where will the good food be then? Please bear with me for the final leg of the holiday. We have reached the end and have done all the eating and taken all the pictures to prove it. Unfortunately the Dunes Inn, Los Angeles provides internet access on an ad hoc basis and there is no way to upload pics. The last update will be here by this weekend. Loads of great food and adventures to come including Paramount Studio tour, Santa Monica beach (hundreds of birds sunbathing) and some crazy driving into Downtown LA. Leaving Las Vegas we had a feeling that the previous two days had been kind of wasted. 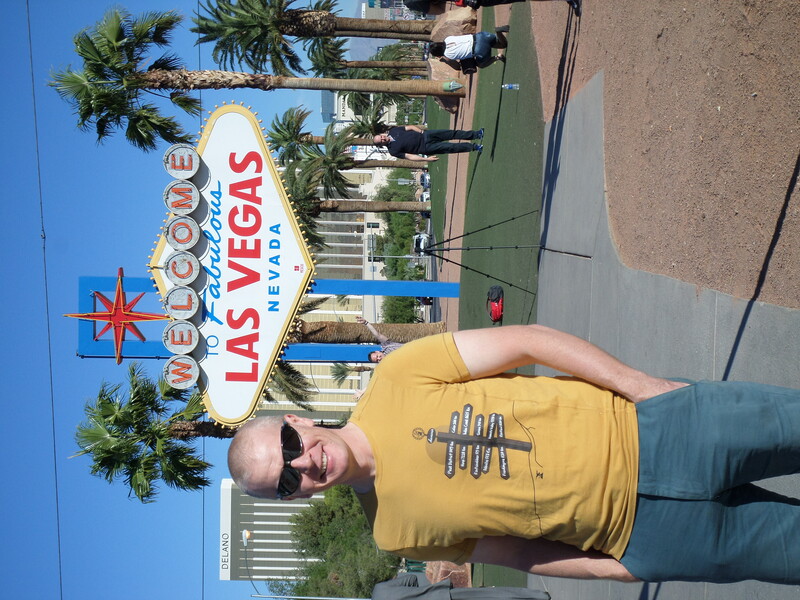 It’s not that Vegas is bad, it just doesn’t naturally form part of a Route 66 experience in our minds. It sits in a different type of holiday. We stopped for obligatory photos by the famous Las Vegas sign, fuelled up and obtained our ‘lunch-on-the-go’ from Whole Foods (http://www.wholefoodsmarket.com/stores/lvb). 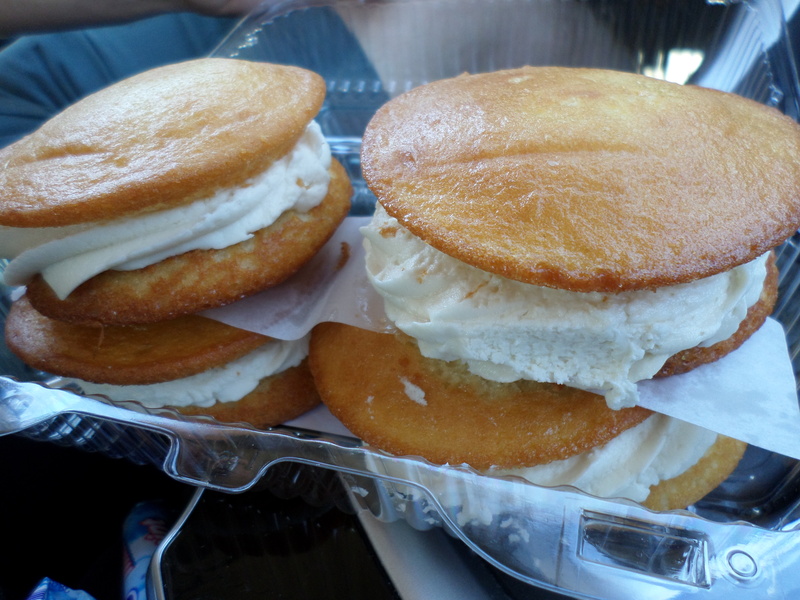 We bought four outstanding Whoopie Cream Pies here – so named because you can’t help saying ‘whoopie’ when you eat them. We didn’t waste too much time here as we knew LA would be a challenge to get to during daylight. Here is the last mile or so set to BB King’s Back in LA. Should be part of Hazard Perception Test. Our first night in LA was a walk to Hollywood Boulevard and back. Not realising just how big LA is we took most of the evening to do it. 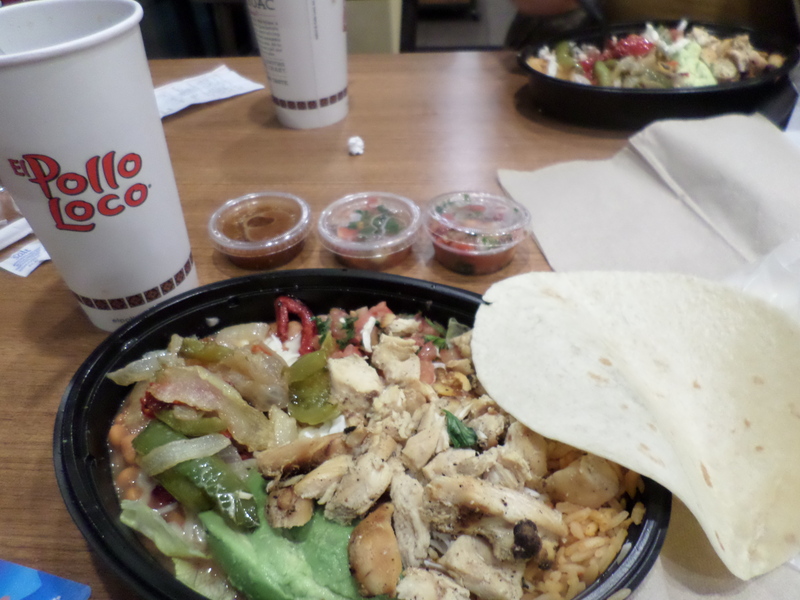 Finding a decent place to eat was also a challenge but we got fed at Pollo Loco (http://www.elpolloloco.com/). 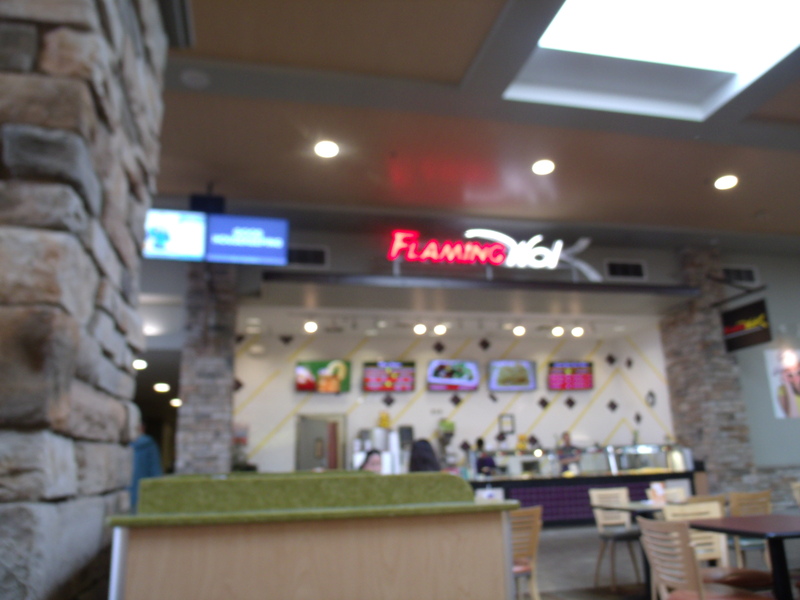 Another fast-food Mexican place. Still too many beans on the plate but apparently Brad Pitt worked at one of these in LA (not the one we used). It certainly tasted ‘Brad Pitt’. Breakfast next day was skipped as we had a Paramount Studio tour booked early. Look at the star I spotted there! 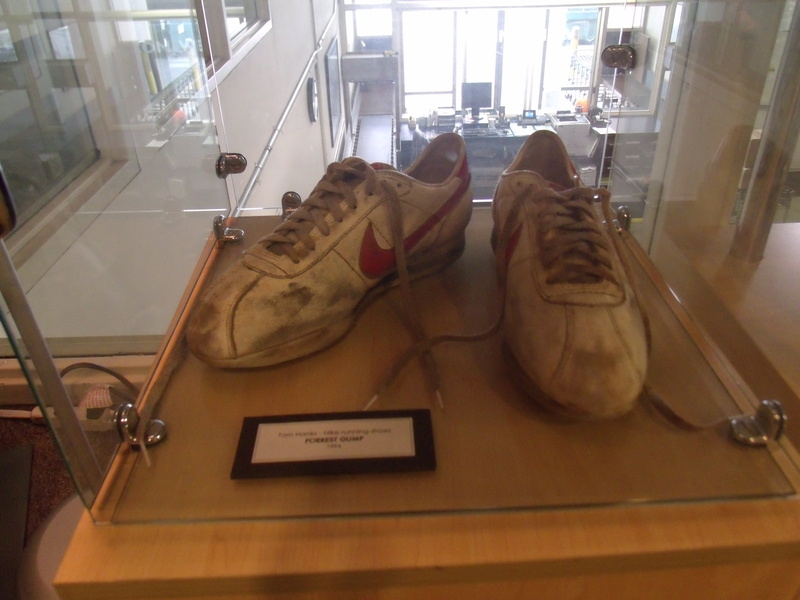 The tour was the ‘VIP’ version which mean’t we enjoyed access to the movie archive area (the highlight of the whole thing) and got a ‘posh’ lunch in the Executive Club where ‘we might bump into anyone’. We bumped into no-one at all even though our guide kept saying ‘omigod – did you see who that was?’ Unfortunately we knew none of the stars there that day. 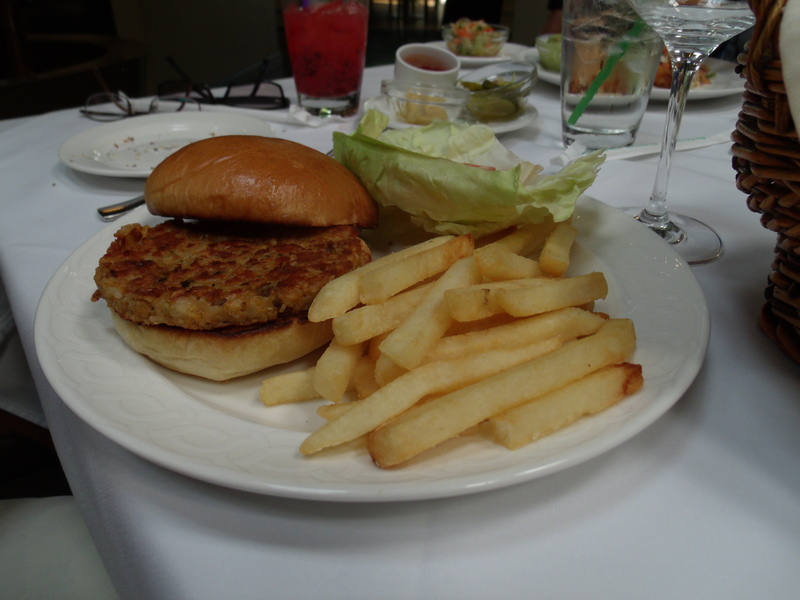 Lunch was not great despite the alleged ‘poshness’ of the whole affair. The cafe next door had better grub and anyone who knows me knows that I know the difference between posh food and ‘small’ food. 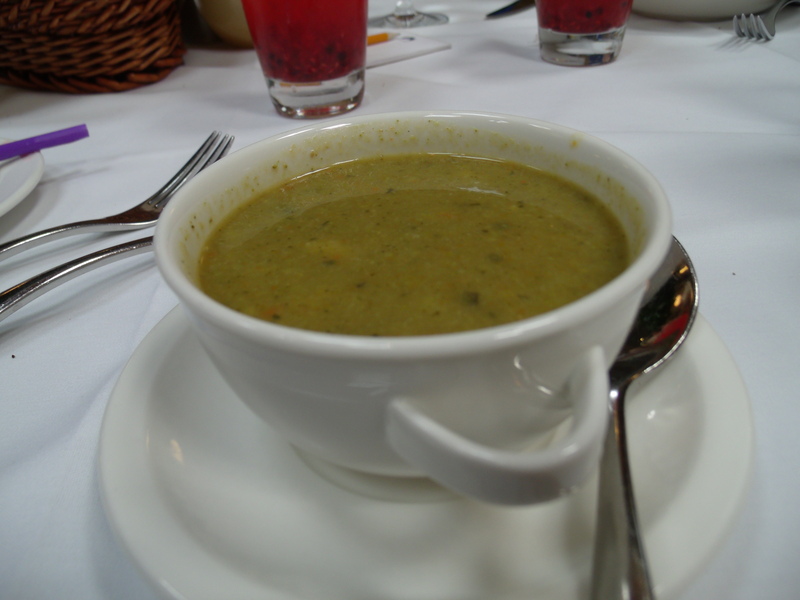 The soup starter was poorly made but tasty as was the pasta dish I chose. My good lady enjoyed the waiter’s description of her meal. He certainly made it sound a lot more than what it was. Burger and chips on a nice plate. I was amused as our guide clearly thought we had never eaten in a decent restaurant before and she suggested we ’embrace the moment’ and ‘choose something we wouldn’t normally eat’. 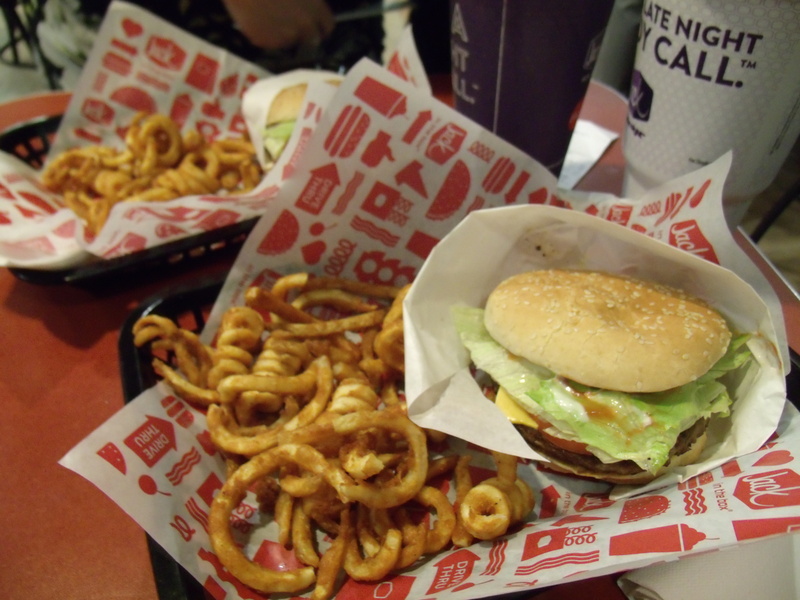 With a choice of burger and chips, pasta and fish tacos that was going to be difficult. I felt like suggesting we choose to eat in the cafe. Anyway, I am being unfair to the tour which was terrific overall. How could you not fail to be impressed by seeing such treasures as these? 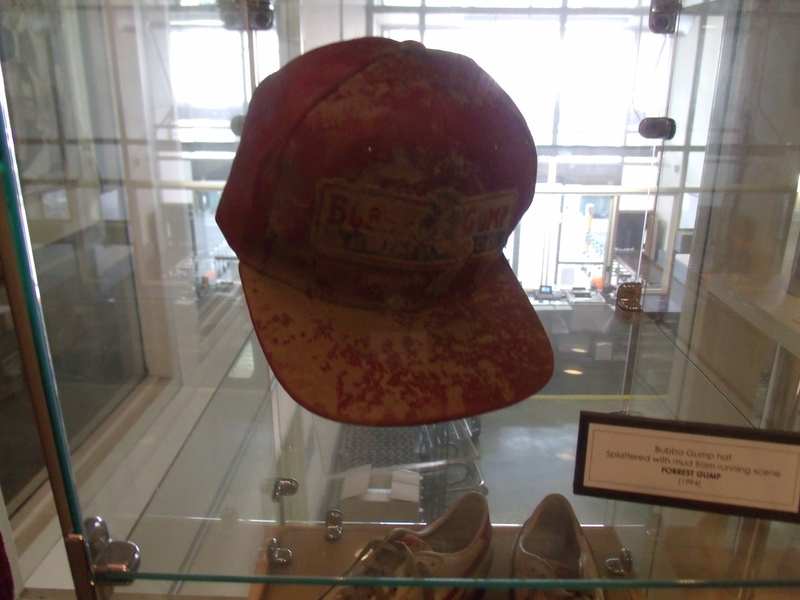 Forrest Gump’s running shoes and hat (still covered in mud). Me – impressed. Wife – impressed. 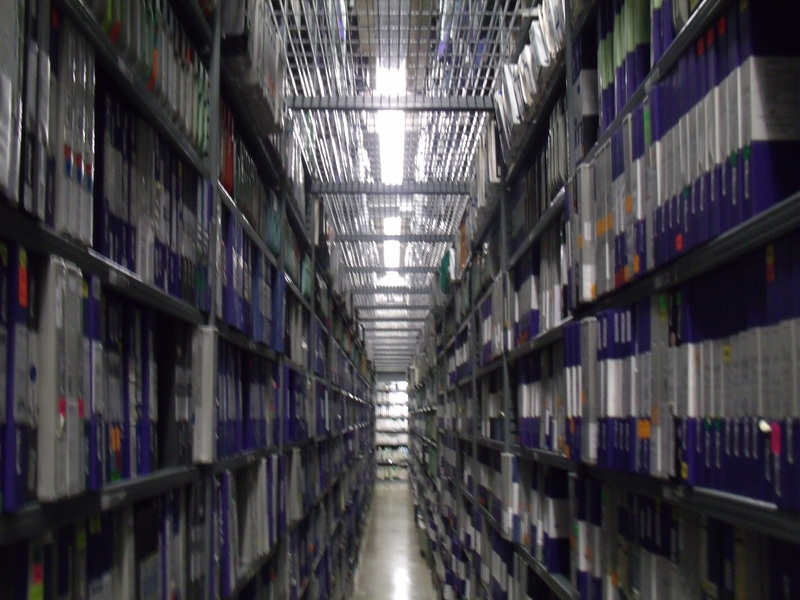 Archive of every film made by Paramount. Me – impressed. Wife – impressed. 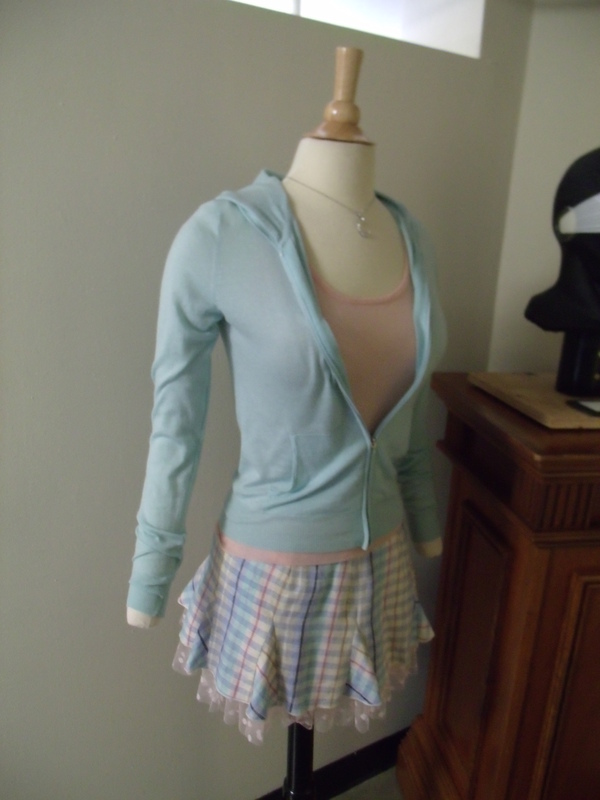 Costume worn by Lindsay Lohan in Mean Girls. Me – impressed. Wife – unimpressed. Lingerie worn by Pricilla Presley in Naked Gun – Smell of Fear. Me – impressed. Wife – disgusted. After the tour we walked back up to Hollywood Boulevard to visit the Walk of Fame and to see the hand prints outside the Chinese theatre. This is good fun and we enjoyed measuring our own hands against those of our favourites. 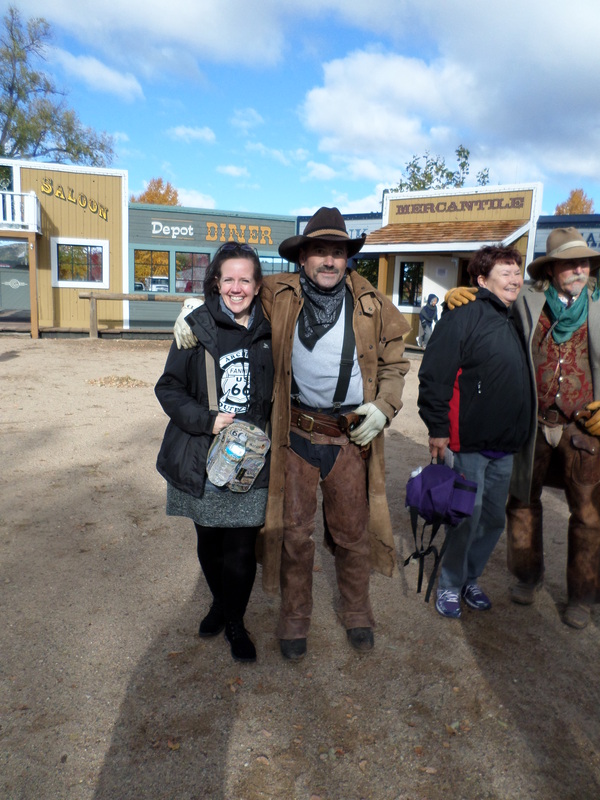 This is me with Mel Brooks who inspired the long train video posted in a previous blog entry. I will not show you Will Smith’s feet. Needless to say my size tens don’t fill his prints! It was average. I think we were sick of burgers by this time (there was more to come though!). We ought to have tried harder. 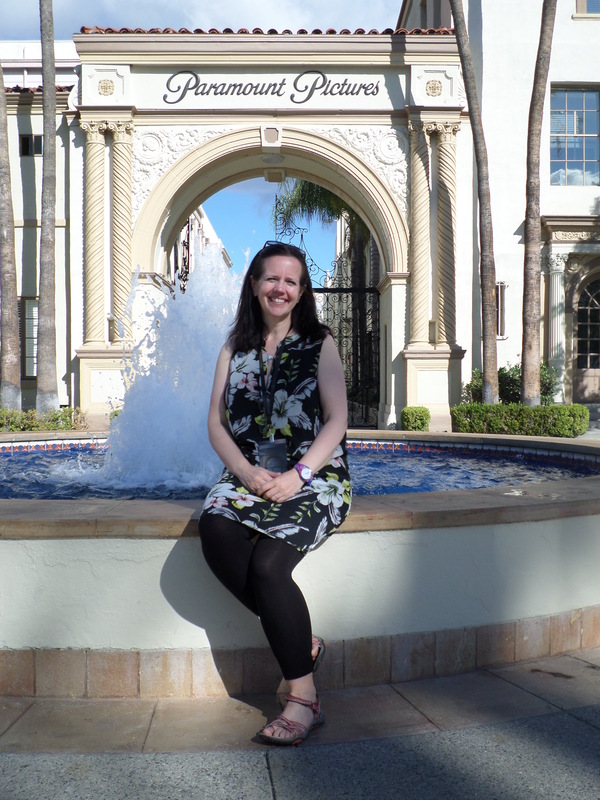 Next day was our last day in LA and the last of our holiday. We got off to a flying start by skipping breakfast again and taking the Metro to Hollywood for the sightseeing bus tour. This was pretty good value to be honest as we got to cover the city in a few hours and had the sights pointed out to us. Better than trying to work it all out for ourselves when the most mundane of locations turn out to be significant in the history of film and music. 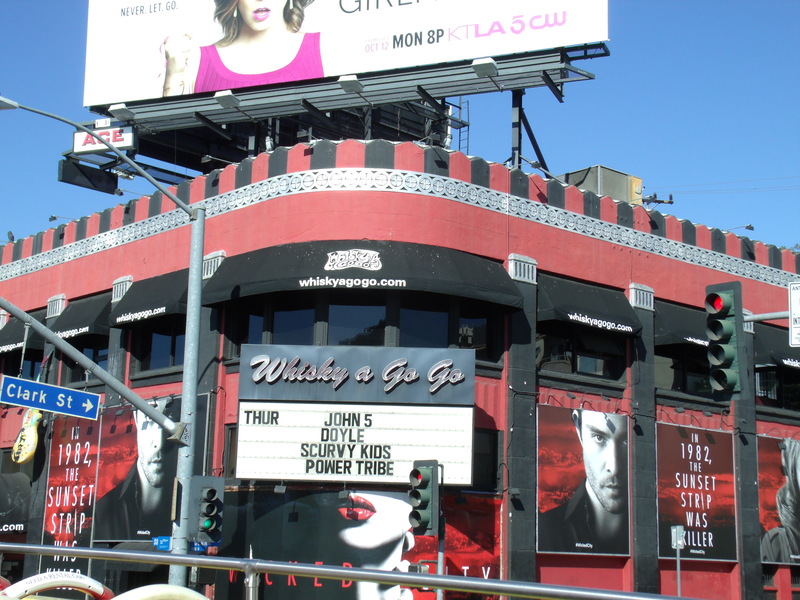 Whisky a Go Go. 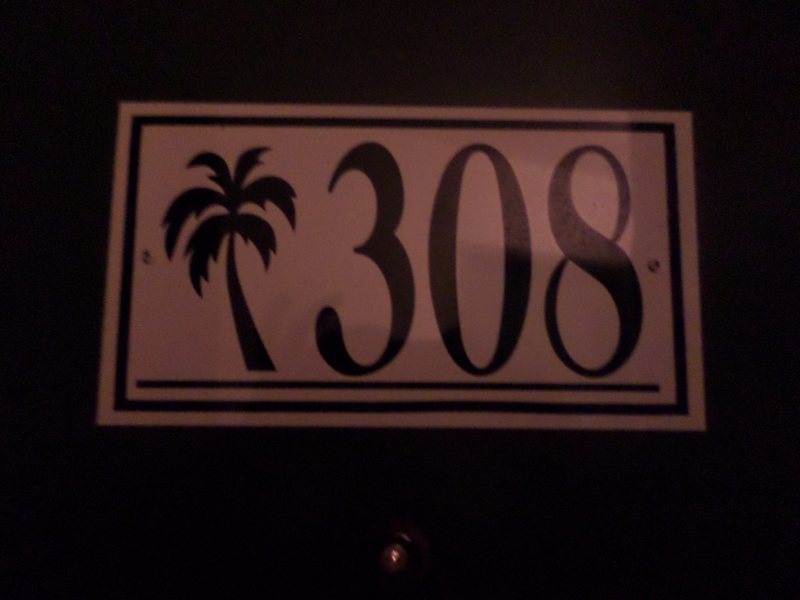 (http://www.whiskyagogo.com/site/) where everyone who is anyone in the music industry played at one point. 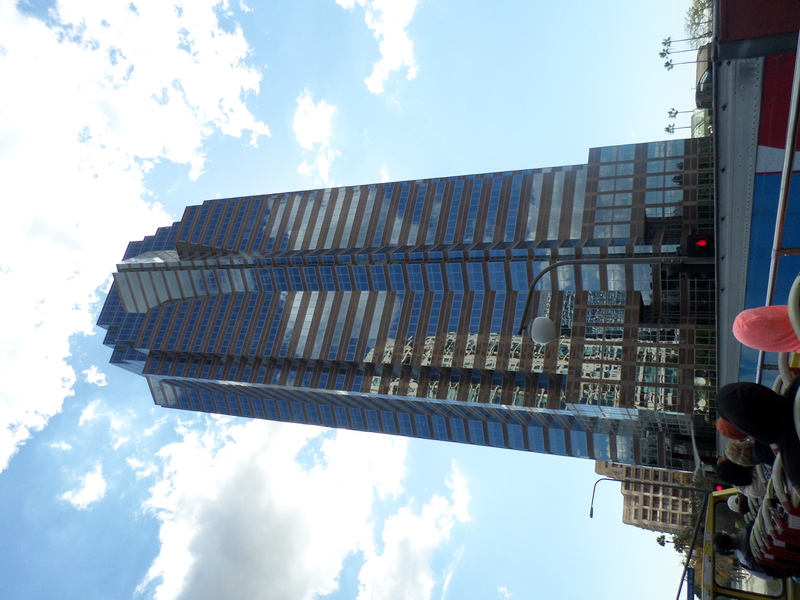 Building used in Die Hard as the Nakatomi Tower. Room at the Dunes Hotel where there no flippin’ internet access so it took me until today to write this blog. There are hundreds of others and it makes a fairly dull looking city much more interesting. There is a strong sense of the rich and poor divide in LA as you see beggars sleeping beside their carts on the street and then look up to see the vast mansions on the Hollywood Hills. It’s not something you can ignore. 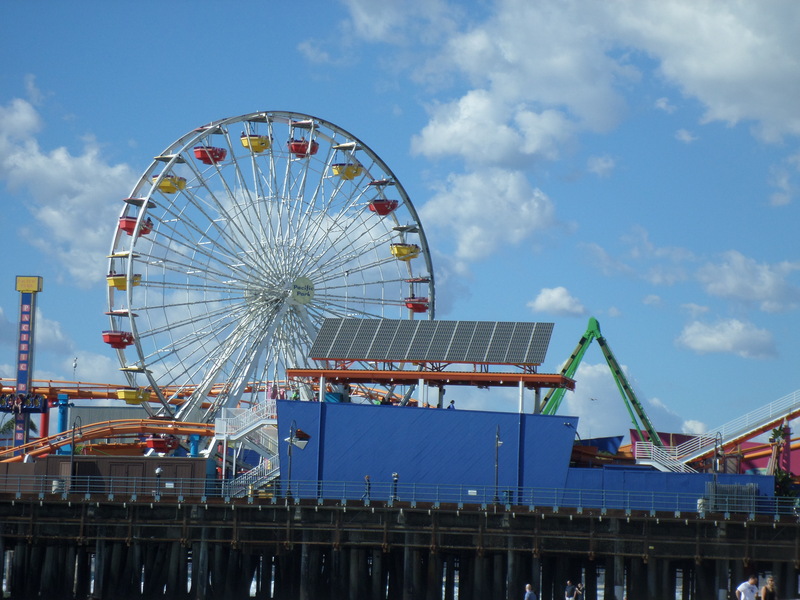 As part of our tour we took in the Santa Monica Pier which marked the end of our Route 66 journey. We messed about on the beach for a while and walked up and down the pier ‘people watching’ and enjoying the sun. 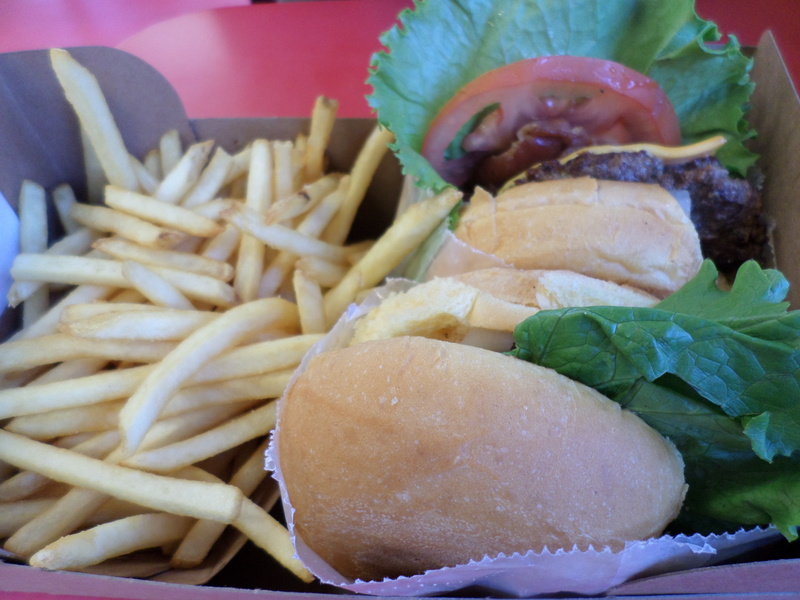 Our lunch was a final burger, and a good one this time. 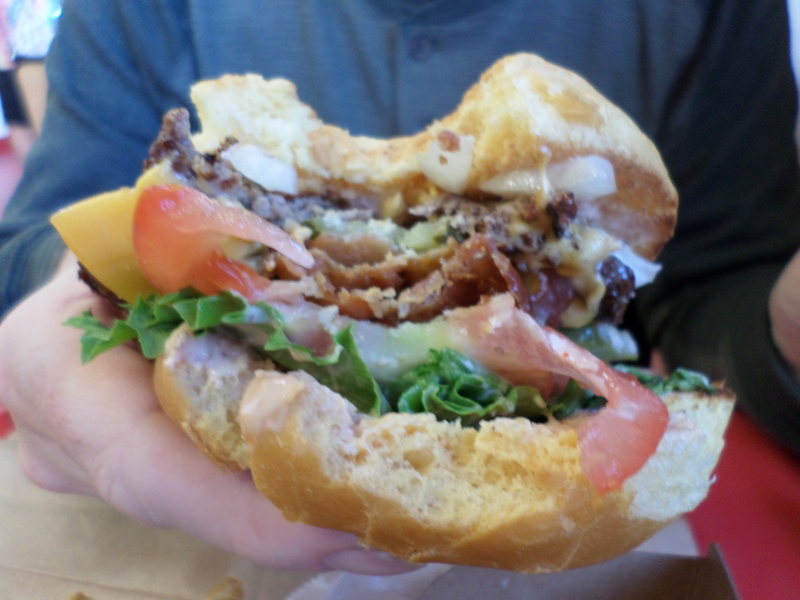 The only way to get this burger is to go to Pier Burger at Santa Monica (http://www.pierburger.com/). They don’t do it anywhere else. We were glad we made the journey. It was terrific. Our last action before leaving the pier was to obtain an entirely authentic and completely official certificate marking the completion of our journey. It was not in any way a tourist gimmick but a reward for the effort we had put in getting here. 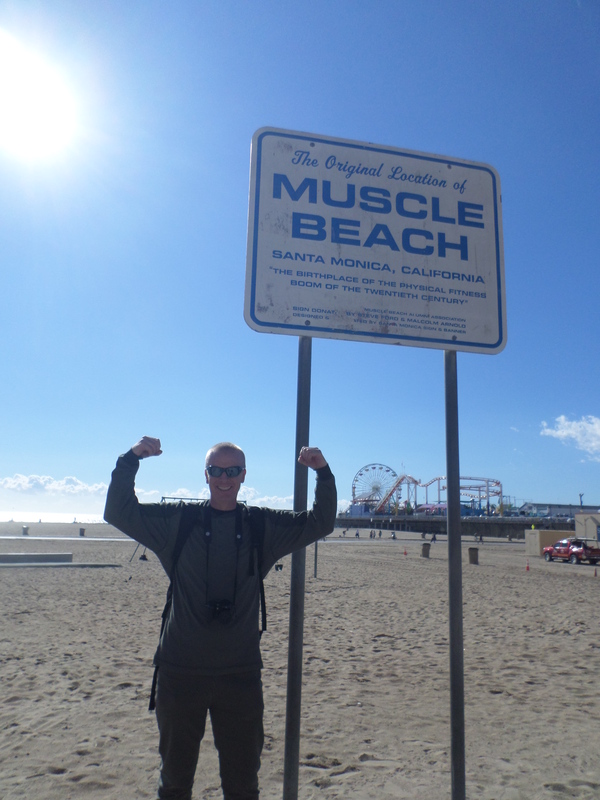 The fact that it was sold to us by a bloke in a stall on Santa Monica Pier did not in any way take the shine off it. It was signed and will take pride of place in our home (probably in a cupboard or drawer). He also gave us an excellent recommendation for dinner in LA. Cliftons (http://www.cliftonsla.com/) is a buffet style eatery and what you get on the plate does not look as good as it tastes. It looks god-awful in fact. 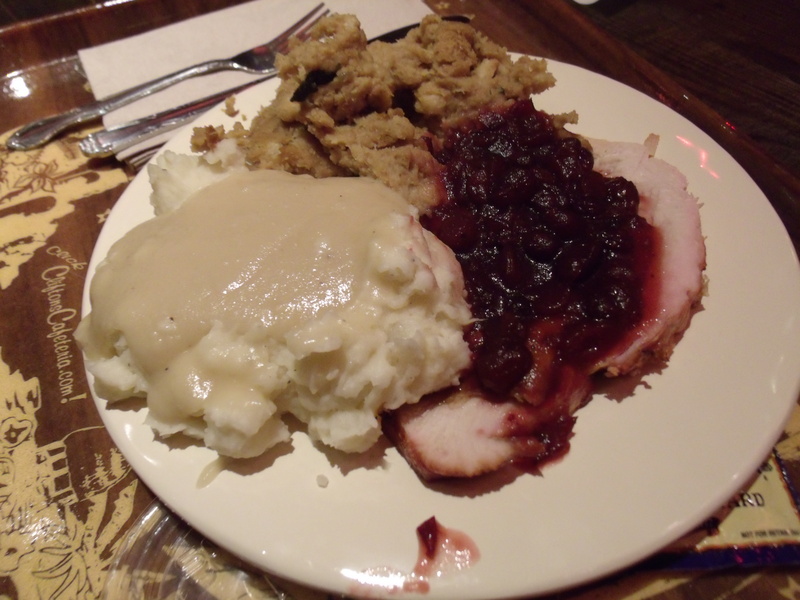 This was turkey, gravy (the white stuff), cranberry sauce, stuffing and mash. 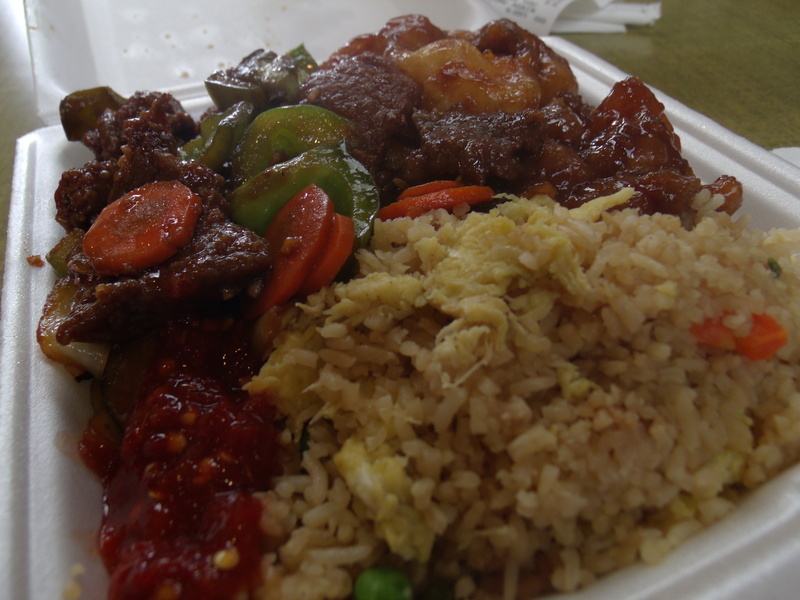 It tasted fantastic and was a much needed change from fast food. We were burgered out. 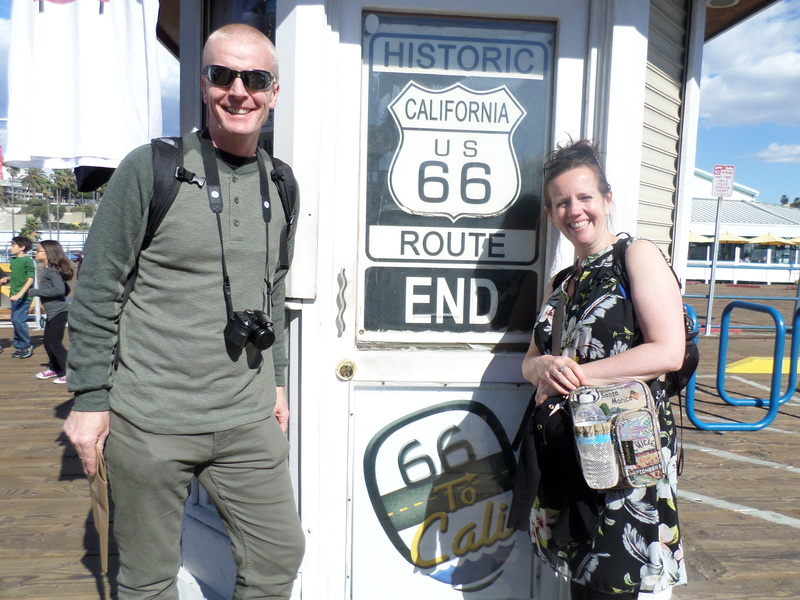 And so all that was left or our Route 66 adventure was the travelling home. Up at 5 a.m. to drive to the airport and endure the two flights home (one five hours and one six). With plenty to read and the films (on the international leg) this was not as much trouble as it would seem. I saw three good movies including the new Vacation movie which was fun to see after doing a similar journey. We reflected on the trip and agreed that this was a great way to fill a two week holiday. We could have gone to one place and explored it in more depth, but we are the kind of people that enjoy quick fixes and get bored easily. Some of it was too quick, we needed more time in places like St Louis and less in places like Vegas. We enjoyed the driving though. The feeling of travelling through so much of America and seeing so much is worth it. The people were mostly wonderfully friendly and welcoming, in a genuine way. The driving is not difficult until you get into the cities and even then it is no worse than visiting a strange UK city. 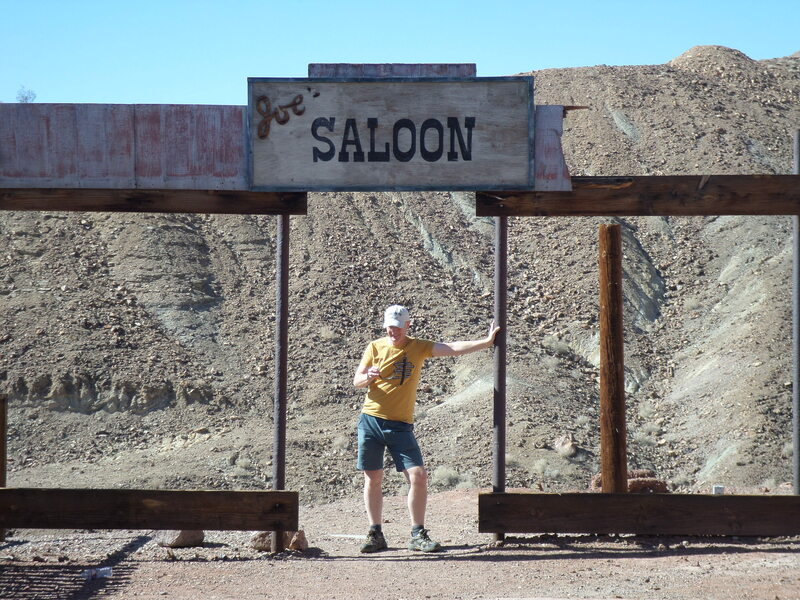 Overall I would recommend this trip to anyone who likes to explore, enjoys dipping into local culture and who loves big scenery and, more to the point, big food.